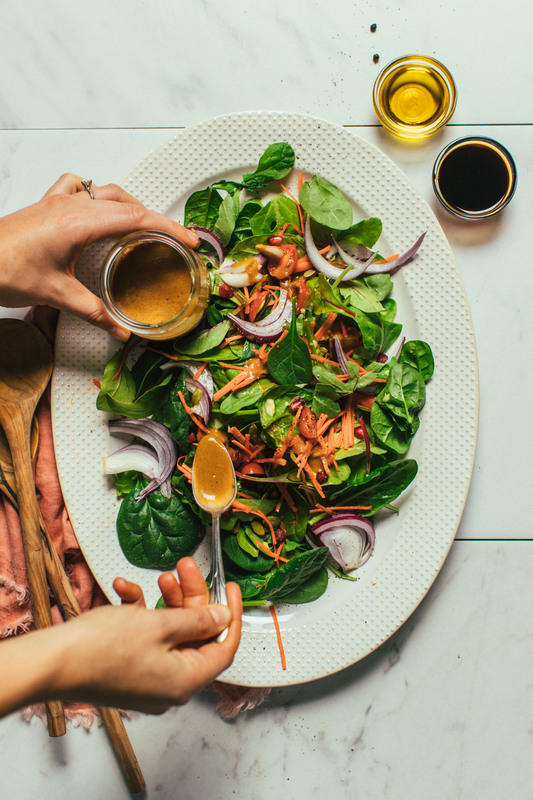 If you’ve ever struggled to make balsamic vinaigrette that’s not overly acidic or oily, and has a balanced flavor, look no further! 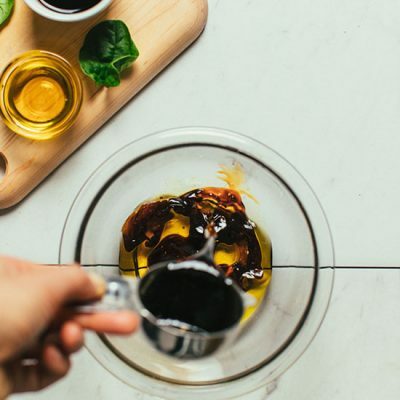 In this easy, step-by-step tutorial I’ll show you how to make perfect, 5-ingredient balsamic vinaigrette every time thanks to a secret ingredient: Shallot! 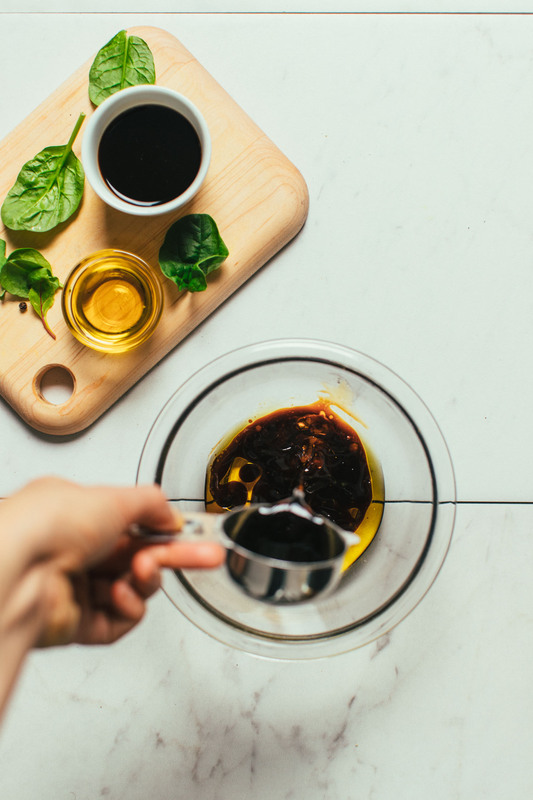 An easy, step-by-step tutorial on how to make delicious balsamic vinaigrette every time. Perfect for warm and cold salads, roasted veggies, and more! 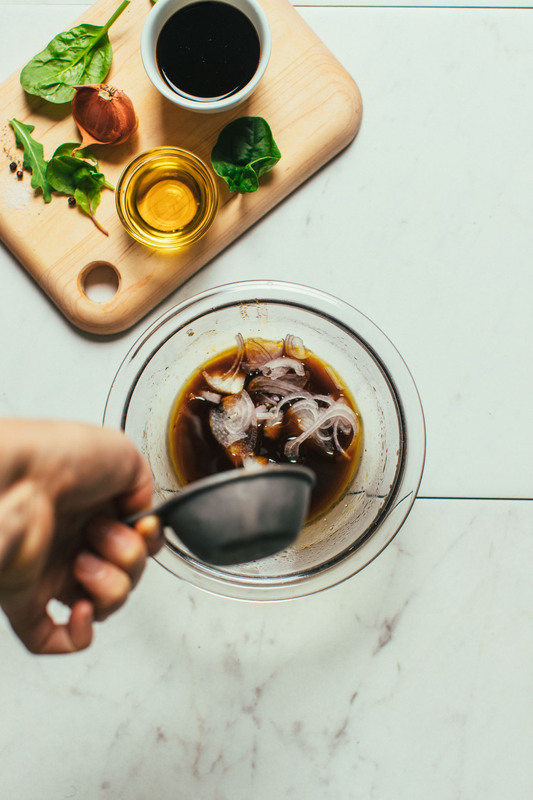 We recommend using a small blender to emulsify the ingredients and also fully incorporate the shallot. If not using shallot, simply add all ingredients to a small mixing bowl and whisk to combine. If using a blender, add all ingredients to blender and blend on high until creamy and smooth. 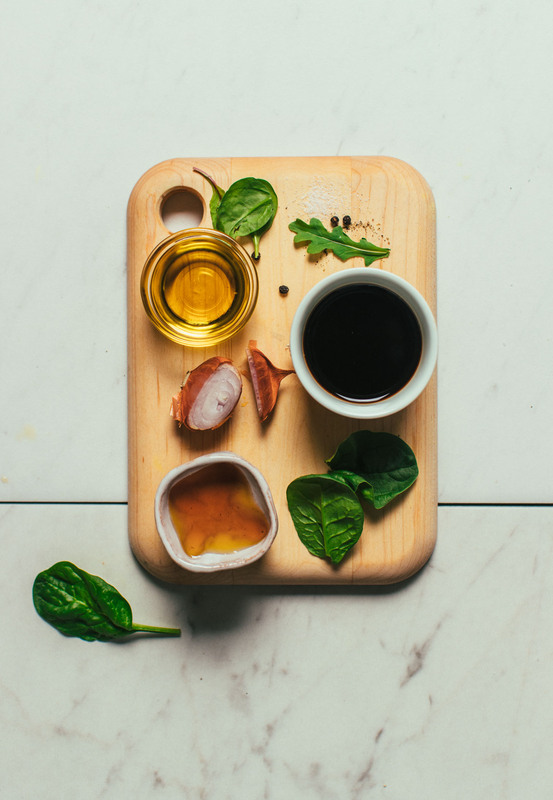 Taste and adjust flavor as needed, adding more vinegar for acidity, olive oil for richness, salt and pepper to taste, or maple syrup for sweetness. 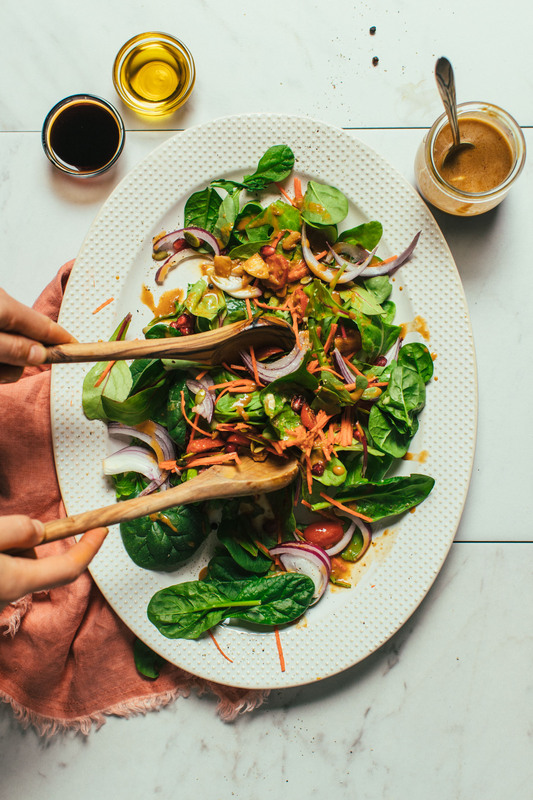 *Nutrition information is a rough estimate calculated with lesser amount of balsamic vinegar. Recipe as written yields 4 (2-Tbsp) servings (about 1/2 cup total).